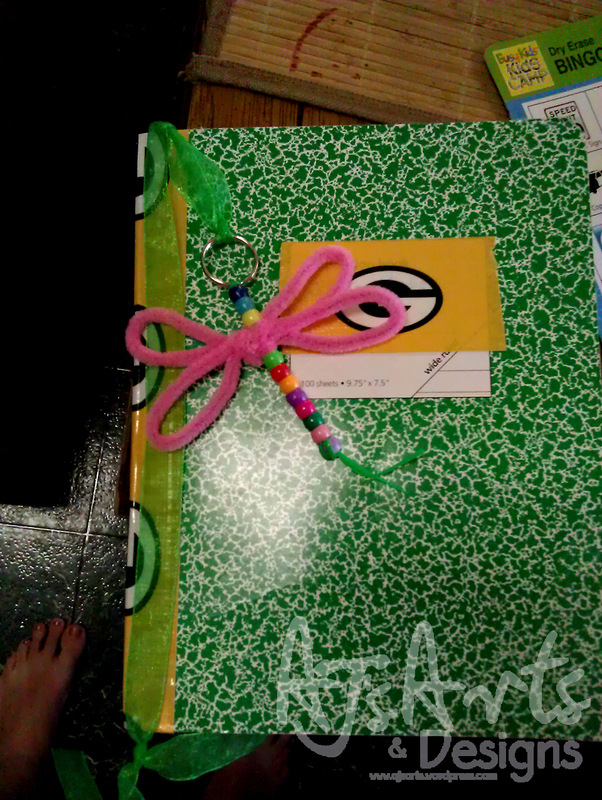 Ribbon Dragonfly Bookmarks | Who Are You Calling Crafty? 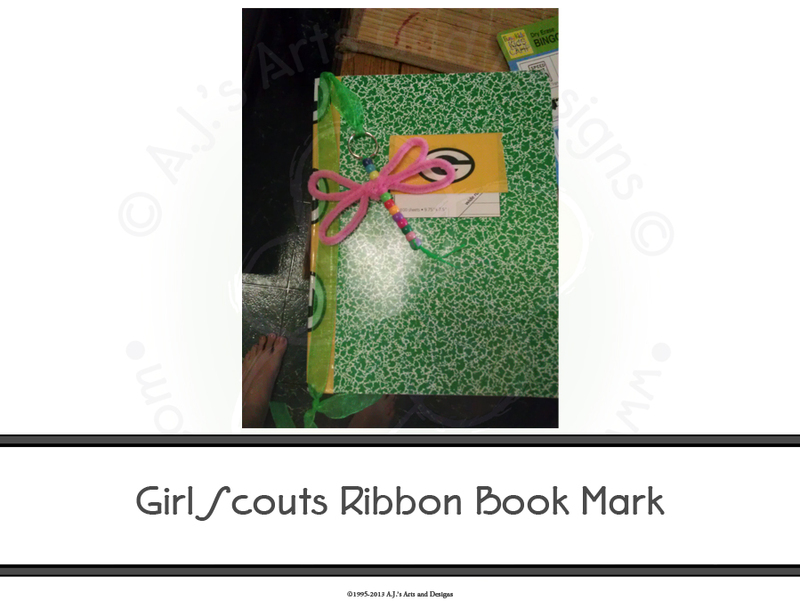 Girl Scouts has started again and I am once again a troop leader of Brownies and Daisies. I will be the Brownie Leader but our first few meetings we did everyone together because it was easier. Our first project was a take on the keychain I did last year. Take one pipe cleaner and create bunny ears, twist together and twist the first set of bunny ears three beads down from the top. Repeat with the second pipe cleaner. Take the ribbon put through the key chain so there are even lengths of ribbon on either side, tie a know to secure it in place. Move 2″ down from the first knot, tie another. Take the ends of the ribbon and tie another knot 5″ from the bottom. Slide on a book and you are finished.